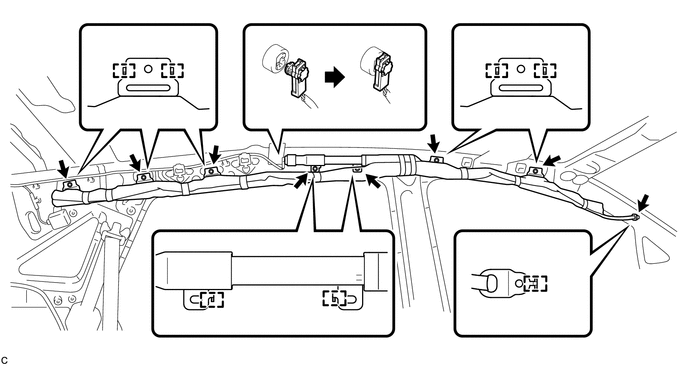 (c) Engage the 13 hooks to temporarily install the curtain shield airbag assembly. Do not twist the curtain shield airbag assembly when installing it. (d) Install 8 new bolts. (e) Connect the curtain shield airbag connector.